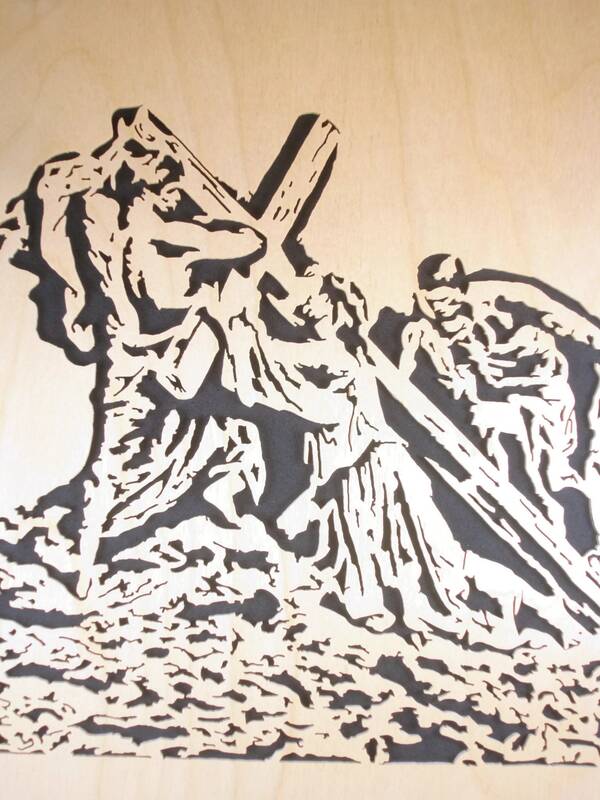 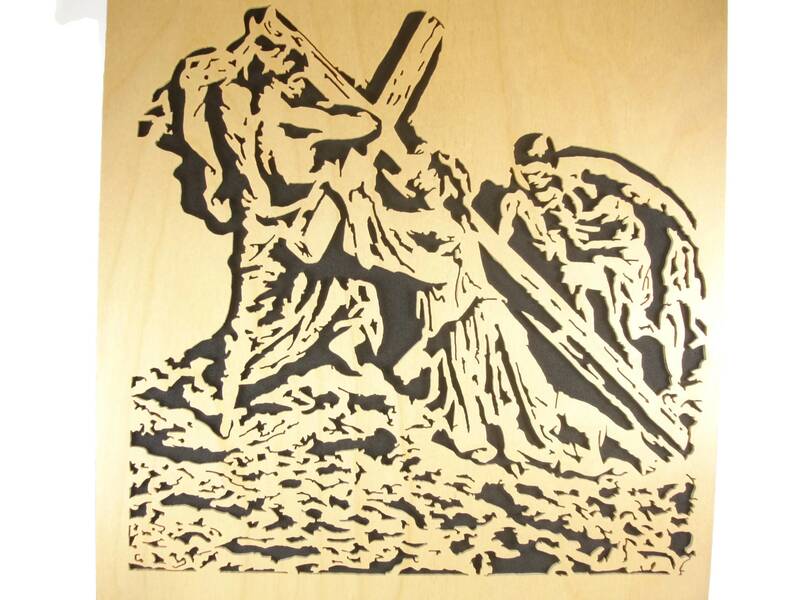 This Jesus falling beneath the cross wall hanging portrait was cut by hand from 1/8" birch plywood using a scroll saw. 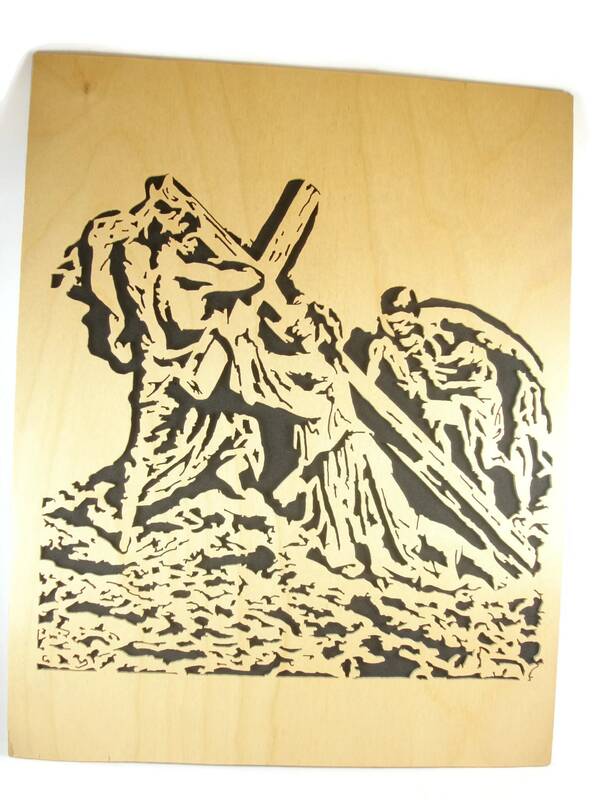 The cutting is sanded smooth and finished with 4 coats of polyurethane satin clear spray. 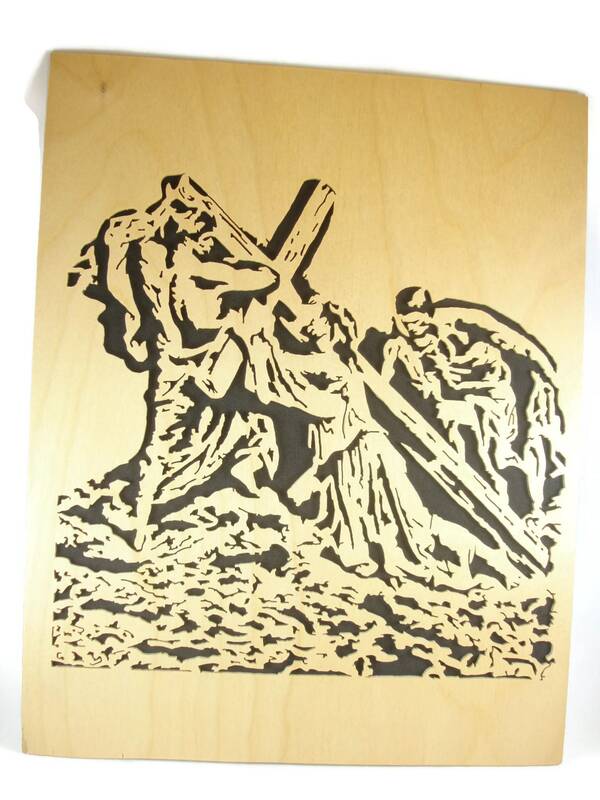 A black foam sheet backer was glued to the back to bring out the details of the cutting. 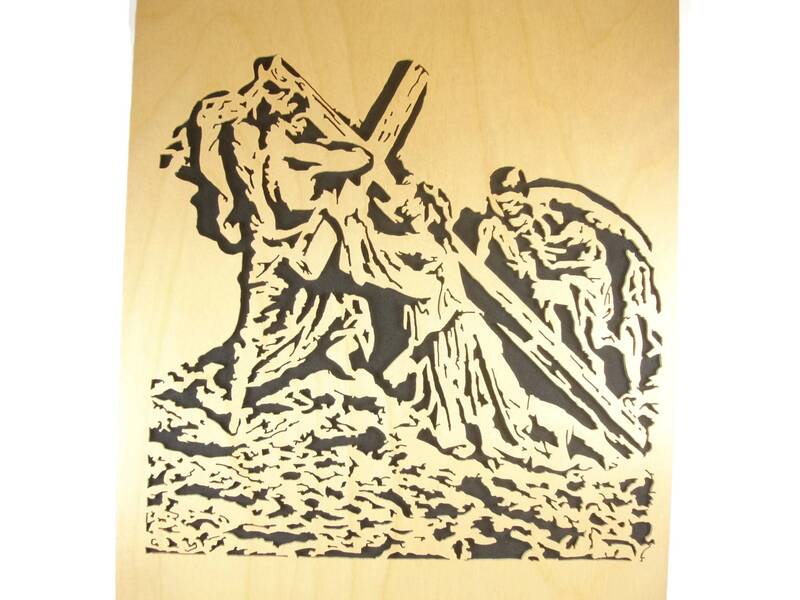 NOTE: This is designed to be put into a picture frame.. should fit most 11 x 14 inch picture frames..